Hotels attract clients with intriguing “take me there” photos and I want to share four gastronomically-themed images with you today. Travellers are interested in local experiences, and what better experience than local cuisine? A selection of cheeses from France, beautifully styled by the hotel´s chef, and a mouth-watering mango mousse in the Maldives – travellers seek out these special flavours. Someone might even make that trip specifically because the food photography and the quality of the image have literally whetted their appetite. 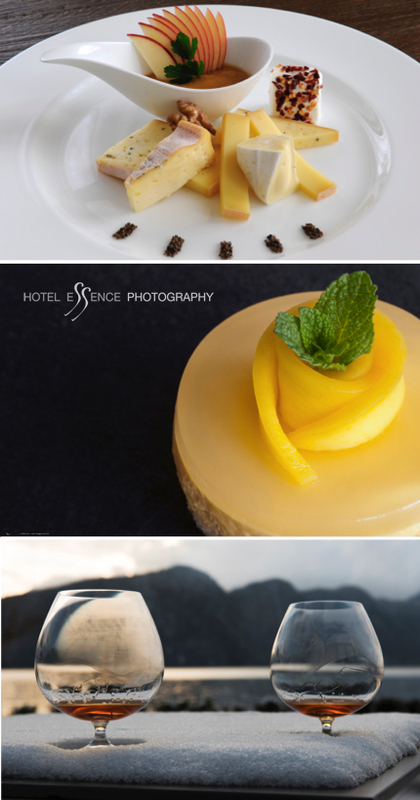 Hotel photographers need to create food and beverage “take me there” scenes. In a top-notch hotel, where the clients may be rich in resources but poor in relaxation time, photography can tempt the viewer with that special moment. Consider the photograph above of an idyllic moment, such as that warming sensation of a vintage brandy looking over Lake Lucerne backed by the snow-topped Alps with your significant other. Here the viewer sees no hotel, but they know that this hotel offers quality time out from a hectic modern-day life – and time is a luxury in our busy 24/7 world. 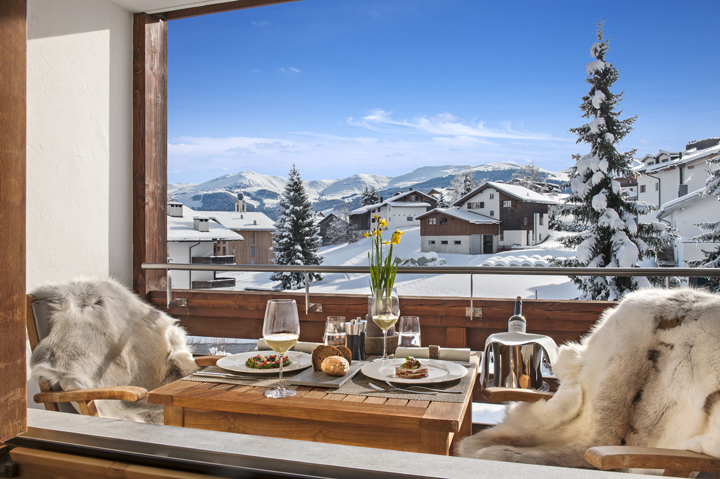 Our how about this scene below, great food styling at La Val Mountain Spa in Brigels, Switzerland. Hotel photography has never been about photographing beds – it’s all about the journey, the quality, the location and the experience.